I have purchased every single of the Matthew Corbett series, and they have become a firm favourite of mine. 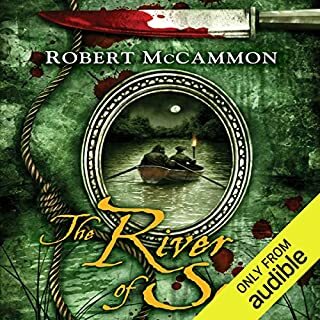 I often return to them, loving the pleasure of listening to the atmosphere and rich storyline that McCammon weaves for his hero to travel through. Unfortunately this one ends all too soon: abruptly, and not particularly satisfyingly... Here's hoping he can bring it back with book 6. On the plus side, Edoardo Ballerini's narration is as flawless as in the previous books. 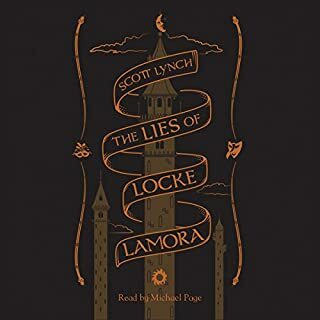 Following from The Lies of Locke Lamora, our protagonist Locke and his friend and protector Jean have arrived in the city state of Tal Verrar, looking towards their next big score. Their eyes firmly fixed on the Sinspire, they are surprised when the city ruler usurps their free will and sets them a deadly task; to rid the waters to the south of a marauding band of pirates. Despite no knowledge of the sea or sailing Locke and Jean have no choice but to set forth to meet their fate. This is a worthy second instalment in the Thorn of Camorr series. The style is as jarring as with the first book, but is easier to settle into after a short while. As before: BUY THIS BOOK! The only way to start this review is to say, BUY THIS BOOK! It's brilliant! 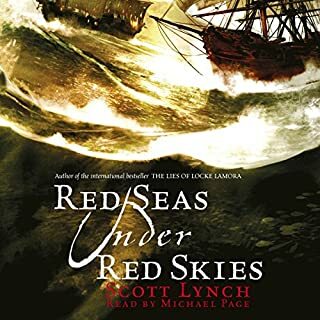 Set in a world that seems to be modeled on an early Venice, it follows Locke Lamora, Jean Tannen, the Sanza twins, Father Chains, and Bugg. Together, they form the "Gentleman Bastards" a highly skilled band of confidence tricksters. They are drawn into the political machinations of Capa Barsavi and The Grey King. A beautifully read, chilling tale. This is the first book in the Matthew Corbett series. Set in the days where the United States hadn't rebelled, and is still a collection of colonies for England and the Dutch. The story centres around the thoughts and actions of our prissy protagonist, a law clerk to Magistrate Woodward, who have been called to deal with a witch trial in a town called Fount Royal. The town is floundering under the influence of the witch and the town officials are desperate for a quick execution; as the evidence is put forth, Matthew becomes less and less convinced of her guilt. The writing is first rate, immersing you in the period and conjuring a detailed and believable world. If you like a good solid mystery in your fiction, try this one for size! Comic fantasy in Pratchett's league! Combine a 2000 year old Druid, coven of witches, a pack of werewolves, a vampire, and a semi-telepathic Irish wolfhound... Mix in a small American town, and toss in a few angry Irish gods. The characters are believable (I believe that if I knew a 21 year old who happened to be a 2000 year old Druid, he'd act this way!) and the story keeps clipping along. All in all, well worth a read, and well worth 5 stars! 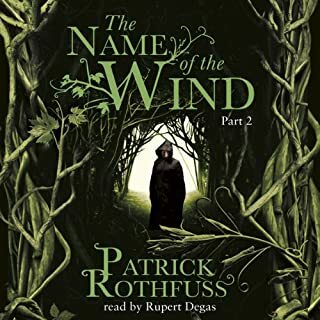 Part Two of The Name of The Wind (Unabridged). 'I have stolen princesses back from sleeping barrow kings. I burned down the town of Trebon. I have spent the night with Felurian and left with both my sanity and my life. I was expelled from the University at a younger age than most people are allowed in. I tread paths by moonlight that others fear to speak of during day. I have talked to Gods, loved women, and written songs that make the minstrels weep. My name is Kvothe. You may have heard of me'. This story is perfect, a tale of gypsies, beggars, "magicians", daemons, dragons, love, and music. I have never read such an amazing novel. 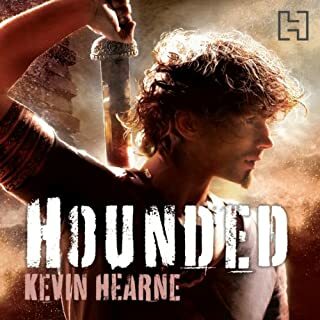 With a huge cast of characters and locations this book may appear daunting at first but give it 20 minutes and I promise you will be swept away and lost in the story of Kote/Kvothe. The narration is beautiful and flawless, never dropping the atmosphere. The best bit is, the sequel: The Wise Mans Fear is already available on Audible. Take a punt on this book and you will NOT regret it! Much much better than the film! Please don't be put off this book as a result of the 2007 film. 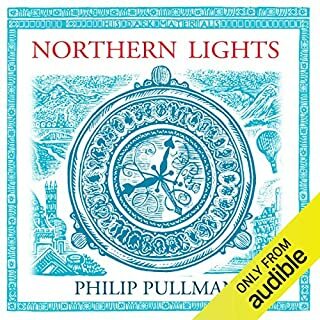 This first instalment in Philip Pulman's His Dark Materials trilogy is atmospheric, and beautifully narrated by the author. 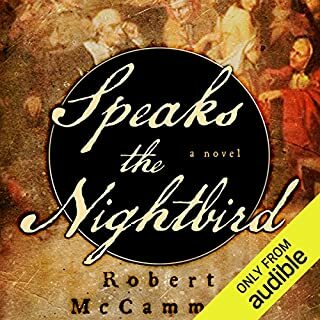 The beauty of the author narrating the story is that you get an idea of what he intended as he was writing it; there is no interpretation by the narrator, and the story somehow feels more pure for this. I will finish by saying that this story is brilliant and well worth using a precious credit on. Would it be your ultimate fantasy to enter a video game? A realm where you can look like a hero or a goddess, fly space-ships, slay dragons, a realm where there are no consequences and no responsibilities. Or would it be your worst nightmare? Stuck in an endless state of war and chaos where not even death can offer an escape…This is where you find out. This is Bedlam. As a gamer, I was enthralled by this book. It follows our confused central character who has been subjected to a mind scan in a piece of experimental technology; later he wakes up on an alien planet... To his horror he discovers that he is now an NPC in an alien army defending against the invading human horde. Thus begins a rip-rollicking rush through the gaming universe encompassing many old classics and referencing many current favourites. But beware, all is not as it seems in the "gamer-verse"! 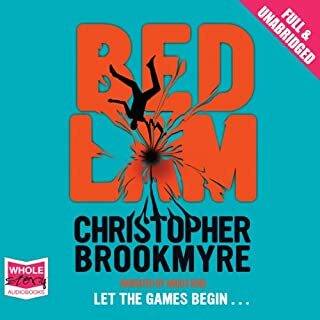 I will warn you that as will all Christopher Brookmyre stories, the language used can be (and often is) VERY strong and descriptions of injuries and carnage can be graphic, but this is all part of Brookmyre's comic writing style. Lampooning many different authors such as Sir Arthur Conan Doyle and H. G. Wells this book purports to be a memoir found in a safety deposit box at a bankrupt London bank. 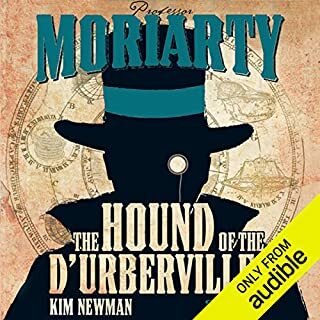 It tells the story of Professor Moriarty, and his henchman, Basher Moran. As it unwinds the two influence many events such as fooling the foremost astronomer of their time, busting a spy ring, and confounding Sherlock Holmes.